Houston needs a strong public education system to ensure the region has access to a qualified, skilled workforce. 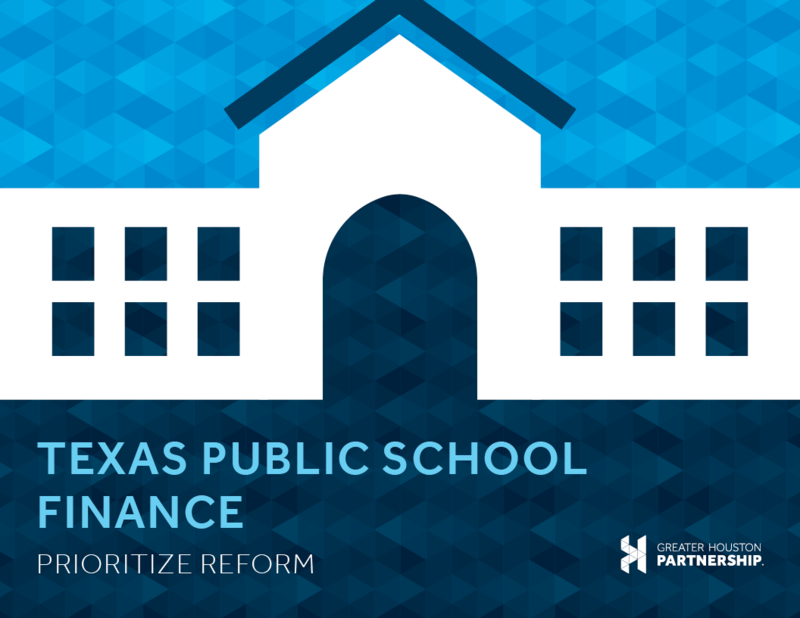 To make long-term improvements to the K-12 education system, the Partnership is leading the business community to draw a road map to meaningful change, beginning with the Texas public school finance system. The Partnership launched a Public School Finance Workshop series in the fall of 2018 designed to enhance the business community’s understanding of school finance. Our public school finance system is outdated and needs reform to provide all Texas children with a quality education. Without appropriate and accountable funding, our future workforce will not be prepared to meet the demands of a dynamic and fast-growing economy. To empower improved outcomes and better support our schools, the Partnership is building awareness on the mechanics of school finance and establishing a coalition of business leaders who identify and implement solutions alongside legislative, education and community partners.